Number of Babies born during this Congress has rising to (28) - 13 Boys and 15 Girls. Three Major possible Responses when we pray. Psalm 50:14-15 Come with Thanksgiving and pay your vows. The Elect of God - The favorite, Beloveth - John 13:21-26. 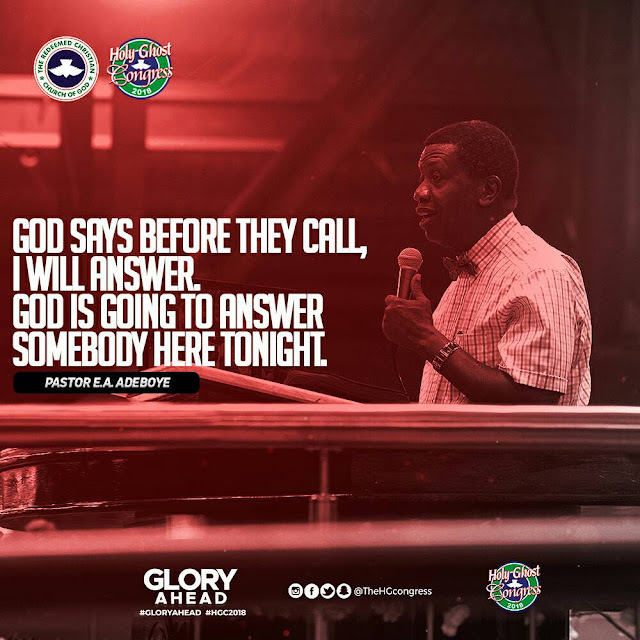 Thank God in advance because he will answer your prayers tonight. Compel those who ought to help me to help me. You know where help is, send them to me oh Lord.